Volunteer project: This volunteer project in Amarante aims to raise awareness among the international participants and the local population on social inclusion, mainly of young people with disabilities, as well as on fair trade, organic farming and environmental preservation. The volunteers will take part in various activities: group dynamics; presentation of the city and the region; discussions on the project theme; visits to the most important sights of the city; preparing a theatre performance and workshop on how to deal with differences; direct contact and work with a local NGO responsible for activities with local young people with disabilities; organizing an event (theatre performance) involving both groups (project participants and local disabled young people) to be presented in the community (street performance, more than 500 people expected to attend). 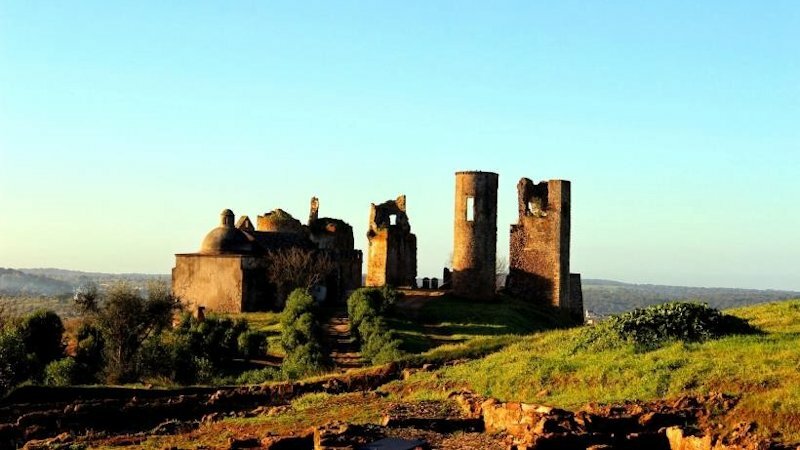 Free time activities: Visits to some of the main cities and spots in the North of Portugal (Guimarães, Porto, Alto Douro Vinhateiro and Parque Natural do Alvão). Accommodation: Volunteers will be accommodated in shared rooms (4 participants each) of Casa da Juventude de Amarante. They should bring their sleeping bag. Laundry is available (self-service). Free Wi-Fi is provided. Location: Amarante is a small town in the North of Portugal, part of Porto district (60 km far from Porto, to the interior) with 12.000 inhabitants. It is quite a famous city for tourism, culture and wine production. Indeed, it is quite near (18 km) to the Oporto wine region. Amarante is crossed by the Tâmega River (one of the rivers ending at Douro River that crosses Porto till the Atlantic Ocean) and is located in a valley in one of the most important Portuguese mountains, Marão (1450 m). Amarante is well located, close to highways A4 connecting to Oporto and A11 connecting to Guimarães, and has a good public transport system. The city is 40 min away from the nearest airport (Porto) by car. Volunteer project: The volunteer project will take place in the town of Albergaria-a-Velha in the Aveiro District. The goals of the project are: Enhancement and promotion of the natural and cultural heritage of the region, namely rivers and water mills; Promotion of sustainability, environmental awareness and biodiversity protection; Promotion of intercultural relationships, good environmental practices and citizenship; Promotion of specific skills in the field of cultural and environmental heritage protection. Volunteers will help in the restoration of an old water mill at the Caima River and public presentation of the work done to the local community. The restoration work requires cleaning, stone washing, building the roof, etc. Participants will also perform field tasks such as picking up litter, cleaning walking trails, controlling invasive vegetation, improving the habitat for local fauna and flora, building nest-boxes for birds and bats, planting trees. Volunteers will also contribute to forest fires prevention by trimming and removal of shrubs and vegetation. In this project, volunteers will learn about nature conservation and engage in conservation and training activities, while getting to know the Portuguese fauna and flora. International exchange and exchange of experience is encouraged. There will be presentations and discussions on the environmental and social realities of the regions of origin of the participants, activities that promote environmentally and socially responsible attitudes and values, and training actions focused on individual and collective learning. Free time activities: In their free time, volunteers can visit the amazing city of Aveiro and its traditional Moliceiro boats, salt pans, colorful houses and modern university, the traditional village of Vilarinho de São Roque, and protected natural areas like Baixo Vouga Lagunar and the Pateira de Frossos. There will be also art and crafts, music, environmental movie night, traditional games, quiz night, talks, cultural and environmental tours. Accommodation: The group will be accommodated in a school in Albergaria-a-Velha, in shared rooms with beds. Please bring your sleeping bag. Location: Albergaria-a-Velha is a municipality in the Aveiro District, a 20-minute drive from the town of Aveiro. Volunteer project: The International Meeting of Cinema, Television, Video and Multimedia in Avanca has been organized since 1997. Volunteers in this project will be involved in various levels of the organization, providing support for the success of this festival. Avanca film festival is a creative fusion and cultural exchange between professionals, students, cinema and multimedia lovers. The volunteers will naturally participate and dive in this international, cultural and creative atmosphere. The volunteers will have variety of tasks before, during and after the festival. • Airport pick-up and welcoming of international guests - directors, actors, producers, technicians, etc. • Removing posters of the event in Avanca and in Aveiro region. Part of the project will be about protection and preservation of the cultural heritage in the historic center of Porto, and recognizing the architectural work of Álvaro Siza Vieira. Volunteers will collect images and testimonials during visits and information meetings at different places including the Library and the University of Aveiro, the Avelino Duarte House in Ovar, the Faculty of Architecture at the University of Porto, the Serralves Museum of Contemporary Art, the São Bento Railway Station, the Social housing district of Bouça and the historic center of Porto. Accommodation: In tents at the school in Avanca. Please bring a sleeping bag. Location: Avanca is a civil parish in the municipality of Estarreja, in the central subregion of Baixo Vouga. Volunteer project: The project will take place in the village of Teixeira/Atenor, located next to the Parque Natural do Douro Internacional (Douro International Natural Park), about 5 km from the village of Sendim (Miranda do Douro). The volunteers will help out in a Donkey sanctuary whose main objective is to guarantee the welfare and veterinary care of donkeys and mules that are sick or old, were abandoned or mistreated, or their owners were unable to continue caring for them. The main goals of this project are to enhance the biodiversity at the sanctuary and improve the landscape for generations of donkeys and visitors to come; to enable the discovery of the Miranda Plateau, a unique rural region, rich in natural beauty, biodiversity, culture and traditions; and to bring together international volunteers and local community, promoting intercultural and intergenerational encounters and exchanges. The tasks planned for the enhancement of the biodiversity will focus on attracting birds. For birds to visit or live in a certain place, they need food and shelter, so we'll work to preserve trees and plant shrubs that provide these. We'll add a butterfly and a pollinator garden, and will increase the plants that attract and support them. We'll add water, like a birdbath or a pond or a stream, which is very attractive to birds and other wildlife. We'll also build a pile of logs or rocks that can provide home for wildlife, and will add birdhouses, bat houses or native pollinator houses. This way we'll welcome birds and insects that keep pests under control, so we can reduce the use of pesticides and avoid preventative spraying. Free time activities: There are different activities planned for the volunteers to get to know the beautiful landscapes around, the rich cultural traditions and the local community. Activities include trekking and hiking around Atenor, trip to the Fraga do Puio viewpoint and to the Terra Mater Ecomuseum, exploring the donkey sanctuary and trying a walk with a donkey, trip to and night out at Palaçoulo traditional festivity, visiting Miranda do Douro, cinema nights, traditional games with the local people. Accommodation: The accommodation is equipped with bunk beds and a barbecue area. Please bring your sleeping bag. Volunteer project: This international volunteer project aims to take the art of music to the streets of Vila Real through street performances, creating community dynamics and vibrancy. Volunteers and local citizens will collaborate for the final artistic shows. We will promote activities where dialogue is valued, and we will talk about the intercultural reality and socio-cultural background of each participant. It will be a real collective work, where dialogue and exchange of experiences will be an essential tool. The project promotes community involvement and interaction between volunteers and local people, young and elderly. International volunteers and local young people will work together for the production of a music show which will be performed on the streets in the center of Vila Real and in a nursing home in the area. There are many different tasks: writing and designing the different stages of the show; preparing music for the show; creating musical instruments from recycled materials for the accomplishment of the show; rehearsals for the show; identifying strategic places for artistic performance in the city; preparing the stage and lighting; filming and recording the performances; preparing an intercultural night. The participants will be split is 5 teams: Audio Visual team; Show Production team; Performance team; Recycled Instruments team; Light and Sound team. Free time activities: The volunteers can expect many opportunities to meet local people and discover the best that Vila Real can offer. The team will visit the city, participate in a peddy-paper game, watch a music show, have fun in a water park, etc. Accommodation: In a big pavilion at the local school. Please bring a sleeping bag and a sleeping pad. Location: Vila Real is the capital and the largest city of the Vila Real District in Northern Portugal.